SoundCloud, an amazing online music collection, has made the move to the Android Market. Both new and old artists utilize SoundCloud to put their songs out for people to listen to and download. The mobile application acts as music streamer and will let you play any song you can find on SoundCloud. And that's a lot of songs. The app is great for anyone who doesn't have space on their phone for their own music, or doesn't have music to put on their phone. The SoundCloud application is pretty solid. Depending on your connection speed, it moves generally quickly, bringing the tracks up fast and plays them at exceptionally high quality. The quality parallels that of Pandora AND it plays faster. The only real downside is the ability to download songs to your phone, but that can be accomplished through other means if necessary. The only real downside is the tab system that it always at the top, but it isn't even very noticeable. One great thing, even though it SHOULD be included anyway, is that the music player still works when you are in other apps. 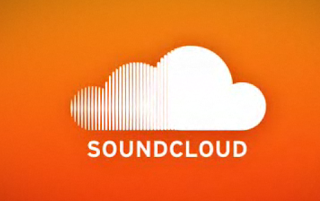 When I first got SoundCloud, I assumed it wasn't capable, but much to my surprise, it was. Like I literally just said, the tab system is pretty clunky. Not that it doesn't work, but the Record tab and Exclusive tab should be under menu, as they seem like a rarely used features. Other than this, getting used to the setup takes about zero amount of time, and the actual music player is simple as can be. Probably the biggest downside to the SoundCloud application is how boring it looks. The actual website, in all its simplicity, is far more entertaining to look at than the application. Even the music player is a little bland, but at least that will import the accompanying album art to spruce the screen up just a tad. The UI is by no means ugly, just boring. SoundCloud is useful for pretty much everyone that listens to music. In other words, SoundCloud is useful for everyone. Even better though, the application gives the capabilities of the site to people on the go. For those that have no mobile music collection, this application will be a godsend. For those who have a huge music collection, the application is still useful to have as a backup as well as for those songs they might not have. Unless someone acquires every song in history and of the future, the SoundCloud application will continue to be useful. I would honestly rate SoundCloud even higher than Pandora simply because you can actually choose the songs you want to hear as well as discover new music and songs. Besides the somewhat clunky and boring UI, SoundCloud is probably the most useful music application on the market, and better yet, it's free. One thing that would make this rate 60/50 or so would be the ability to download songs directly to your phone from the app, but thats just wishful thinking and I'm perfectly content without it. All in all, the SoundCloud mobile application is a must download.